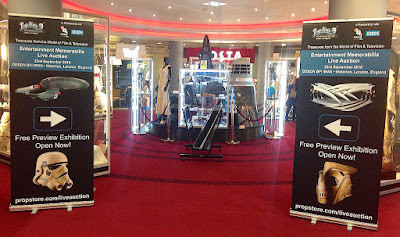 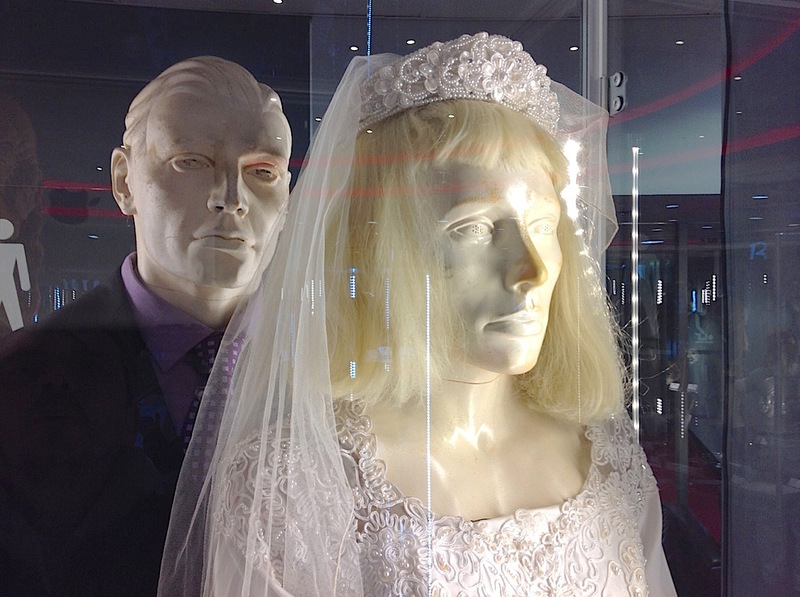 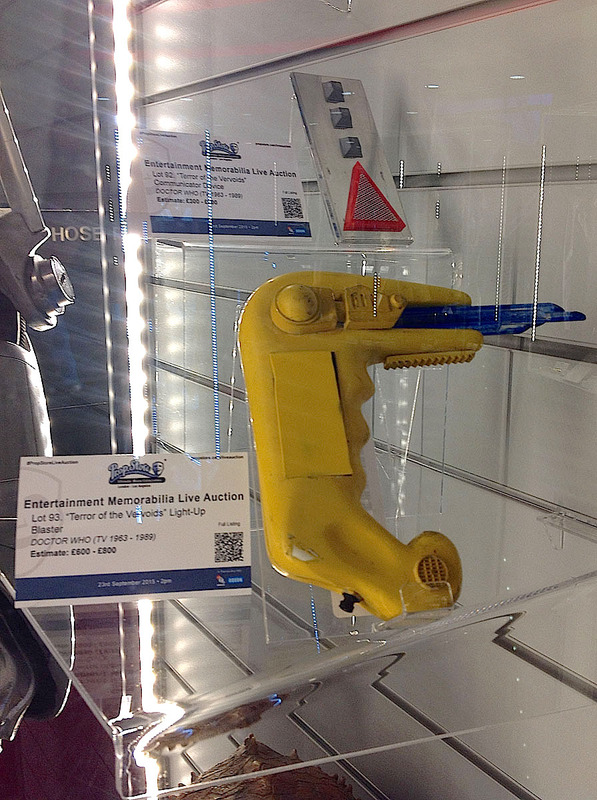 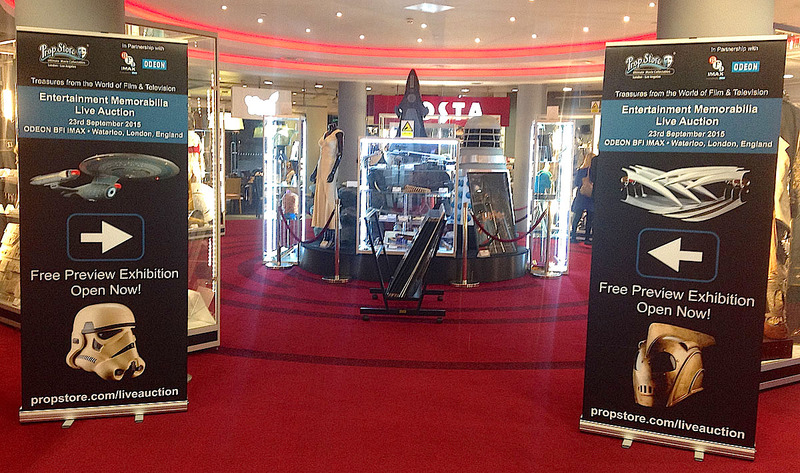 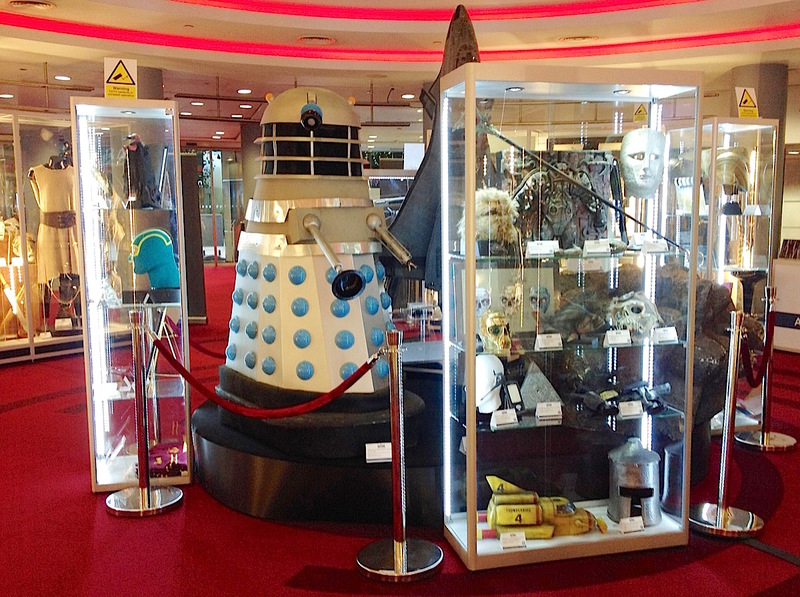 With the Prop Store London live auction about a week away, many of the choice items on offer have been on display in the foyer of the BFI IMAX cinema in Waterloo, where the auction will be hosted. 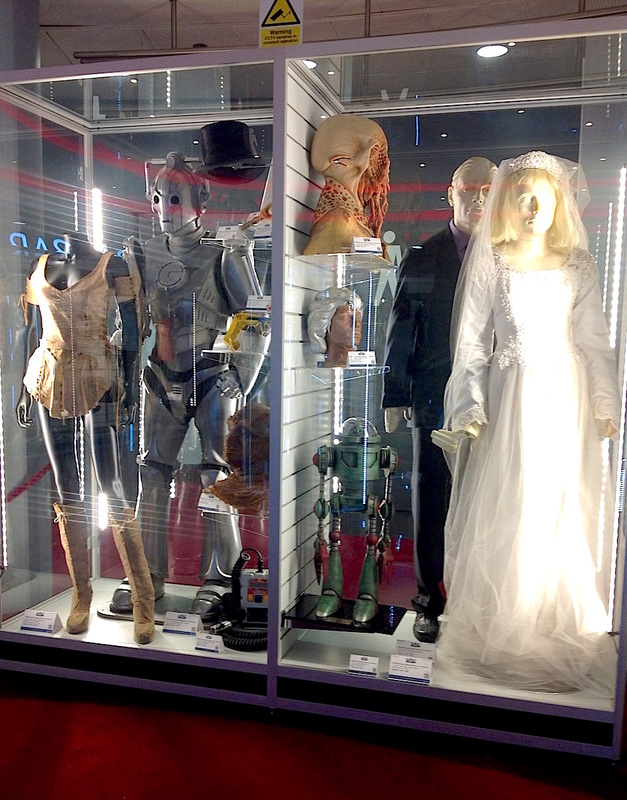 Here are the Doctor Who items on show. Most of the Doctor Who items are on display are grouped together in one glass cabinet, containing Leela’s costume, a Cyberman, two Autons and an Ood prosthetic. Also hidden away in there is Matt Smith’s top hat and a yellow bolster from Terror Of The Vervoids. 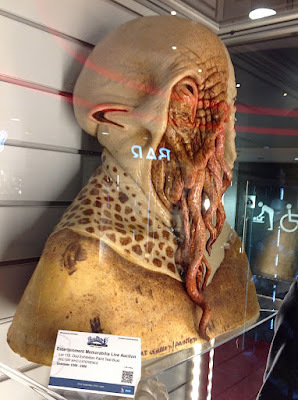 The Ood mask comes from the Doctor Who Experience exhibition, and was a display model to show how the masks were created. It was very interesting to see Leela’s costume close-up. 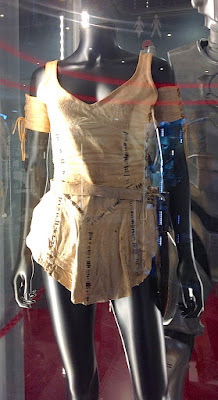 Designed to look like it was hand-made, when you look closely you can see it is machine stitched together and the rough hand stitching is done in 2-ply knitting wool! 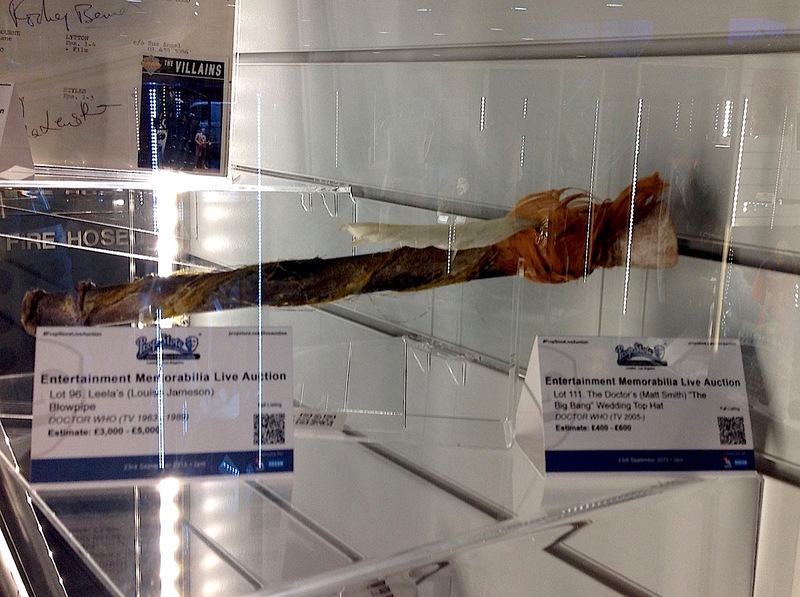 Also on display is Leela’s blow-pipe, use to deliver deadly Janus thorns. 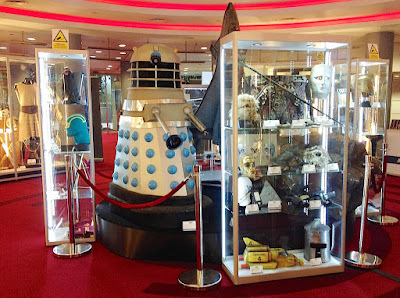 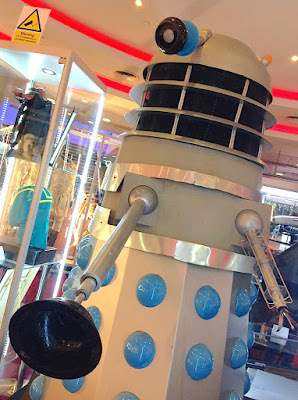 In the centre of the exhibition is a stand with a Dalek from An Adventure In Space And Time.